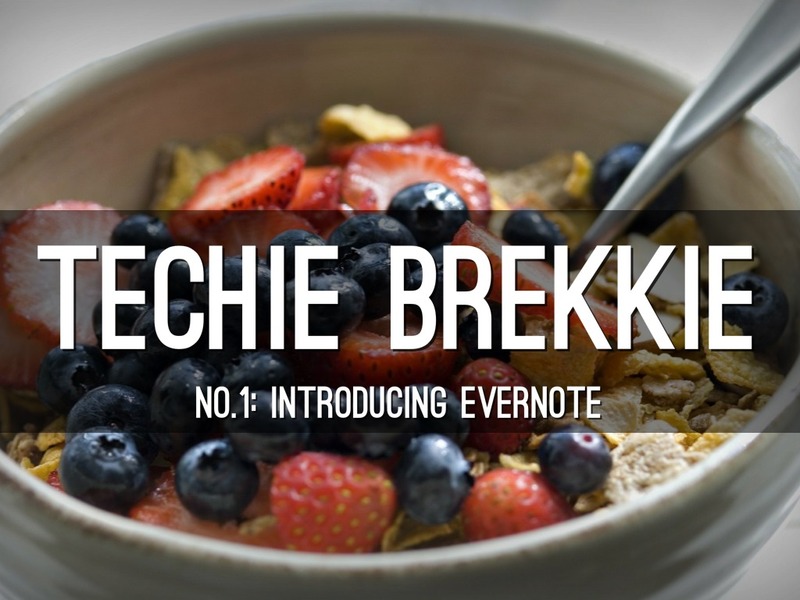 At this our first Techie Brekkie we will introduce Evernote to our staff, using Haiku Deck. 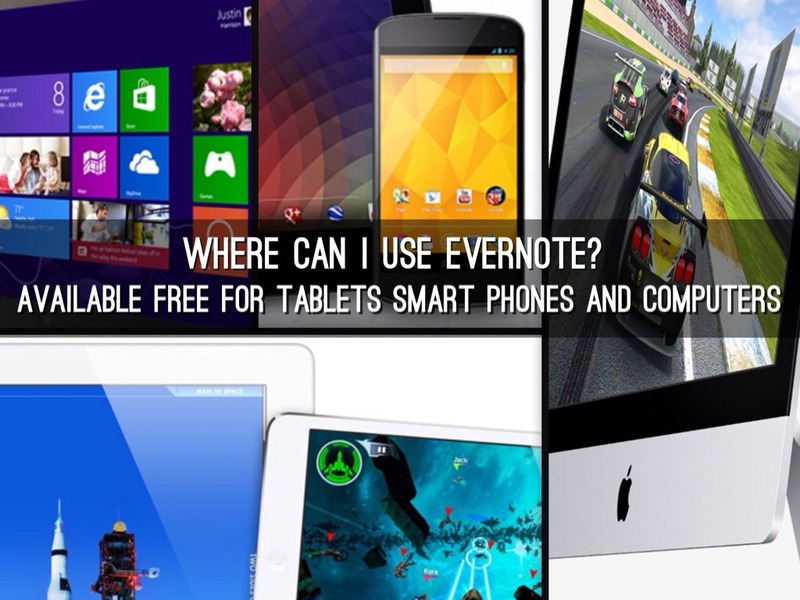 We chose Evernote first because it is able to be used on multiple devices and platforms. 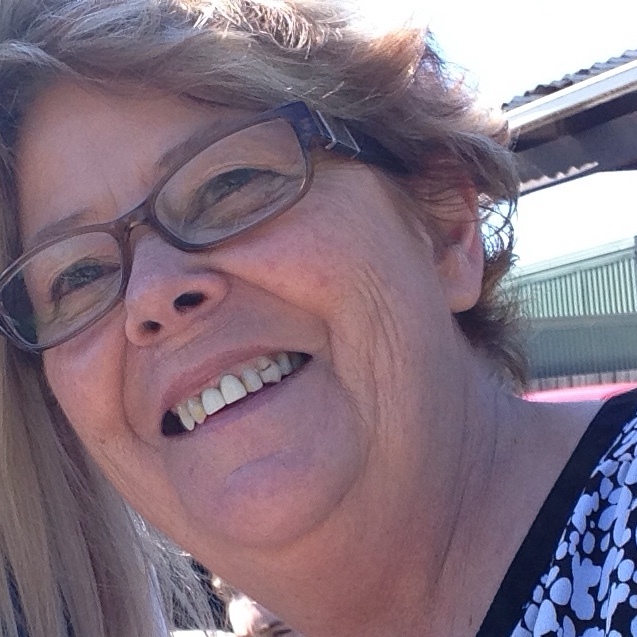 Not all of our teachers have iPads! 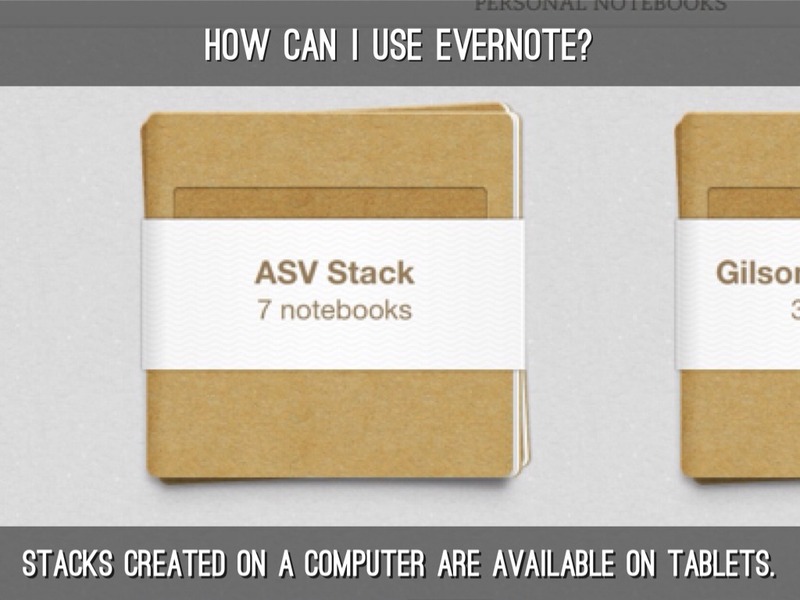 Why would you use Evernote! We looked at this during our first Techie Brekkie! 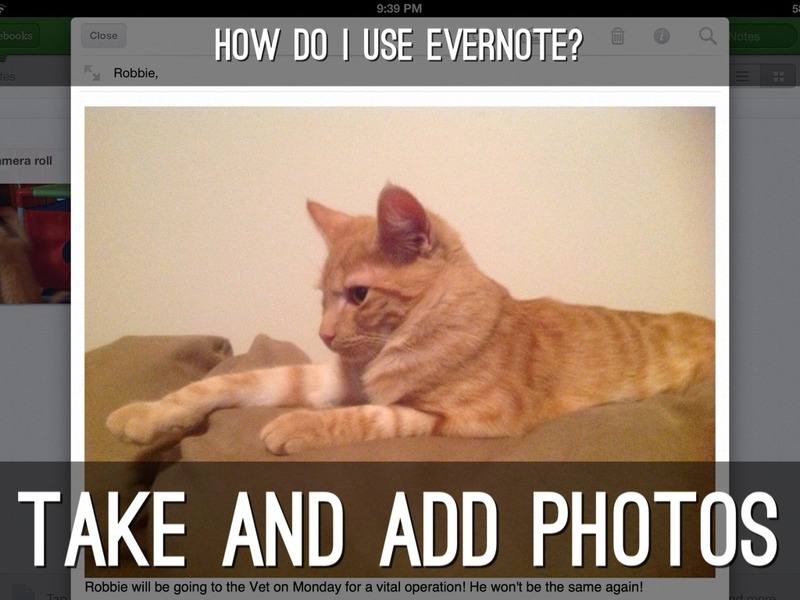 We are using Haiku Deck for this presentation to introduce it to those of you who have iPads. Get the free app and experiment. We can help if you wish! A place to keep everything! 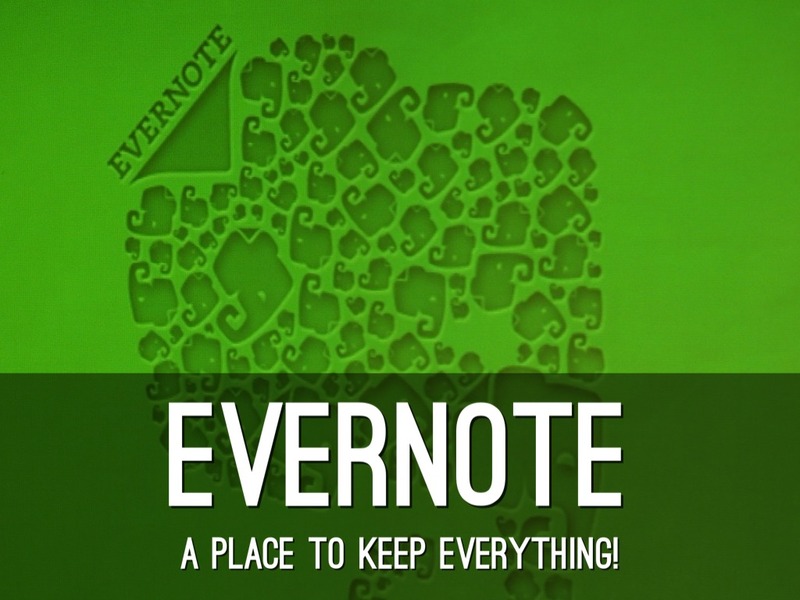 Evernote is a place to keep everything - well almost! 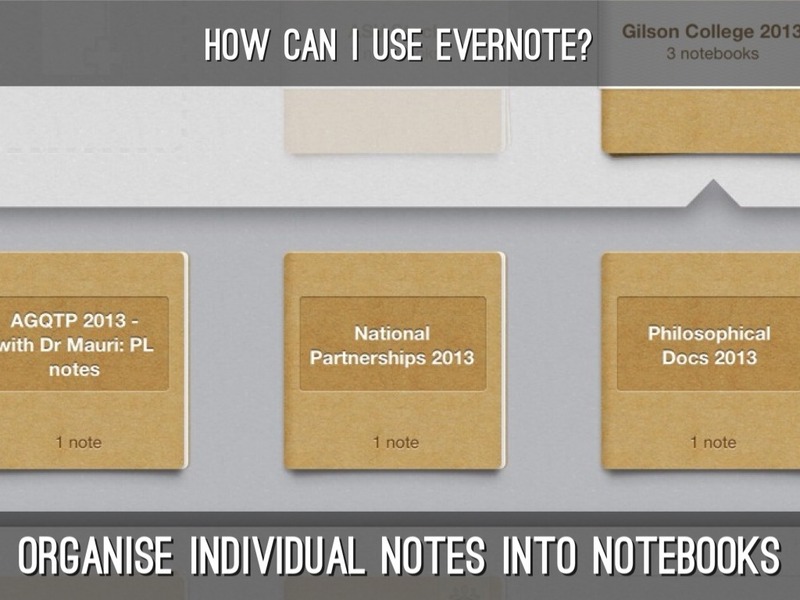 Certainly you can keep all of your notes in Evernote, and much, much more! It has great organizational potential for you! It is web based, and the apps for tablets are free. 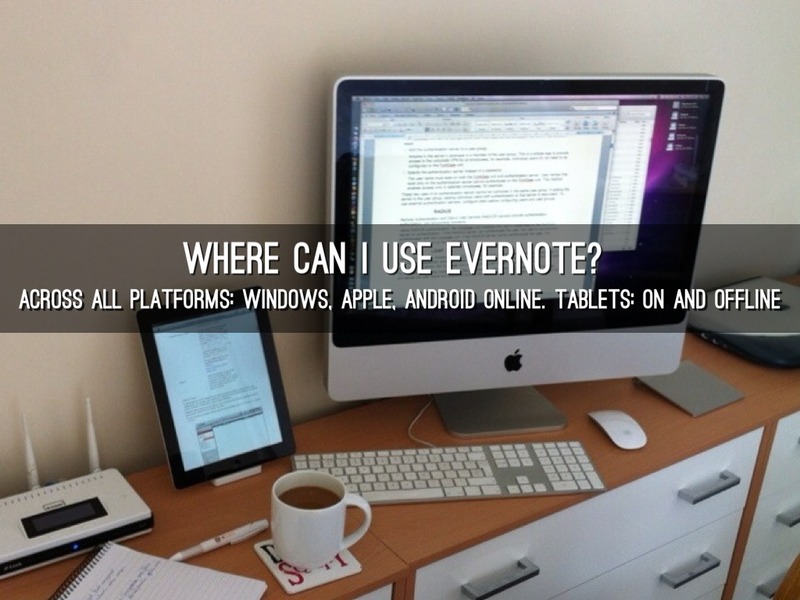 Where can I use EVERNOTE? Accessible on all devices: Computers (desk top and laptop, tablets and smart phones. Cross platform access: Android, Apple, Microsoft. Notes and notebooks are accessible online and offline. 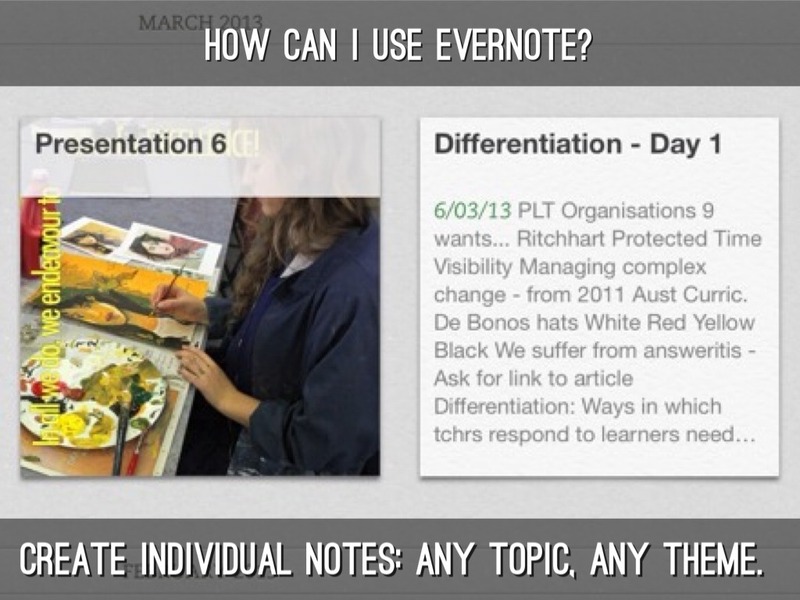 Create individual notes: Any topic, any theme. 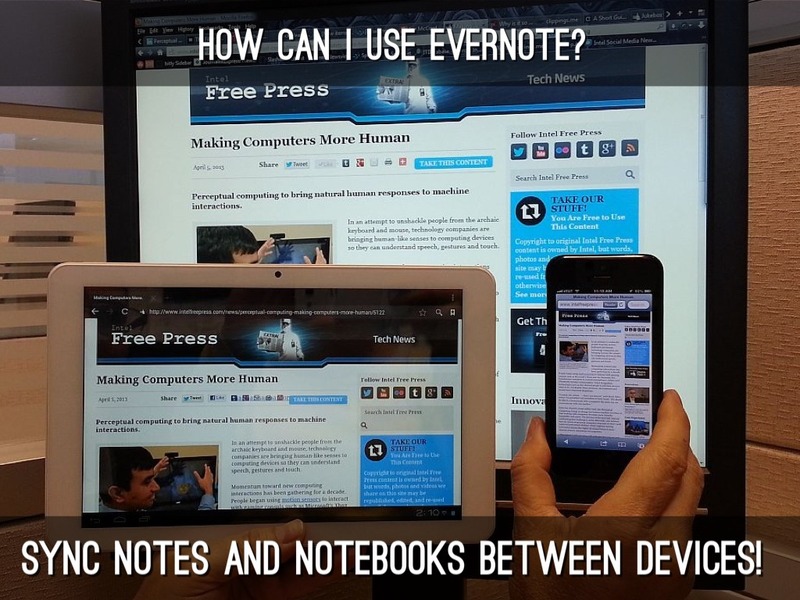 How can I use EVERNOTE? It is easy to create and save your own notes. 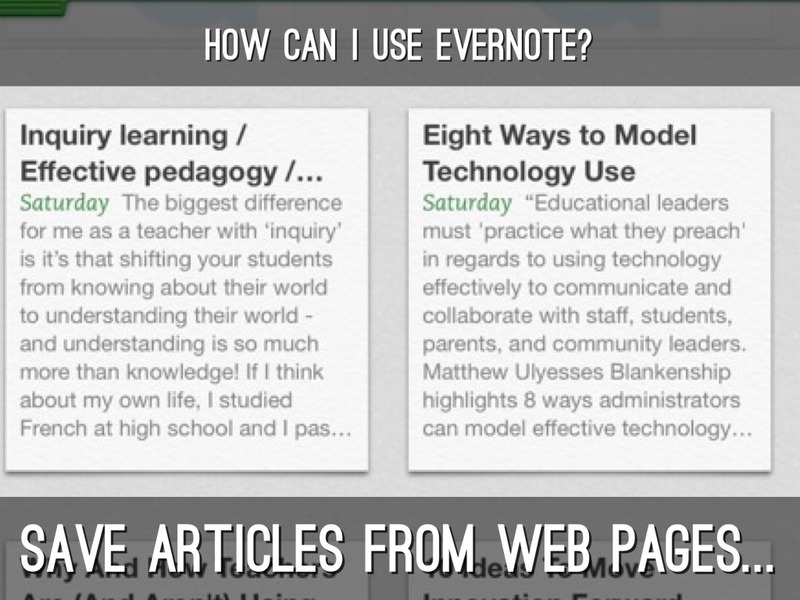 Articles from many sources can be saved to Evernote! Save multiple notes to Notebooks. On your desk top or laptop computer notebooks can be organized into stacks, which is like having a pile of notebooks. Stacks created on a computer are available on tablets. These stacks are then available on your tablet. Sync notes and notebooks between devices! Notes, notebooks and stacks are able to be synced across all of your devices. 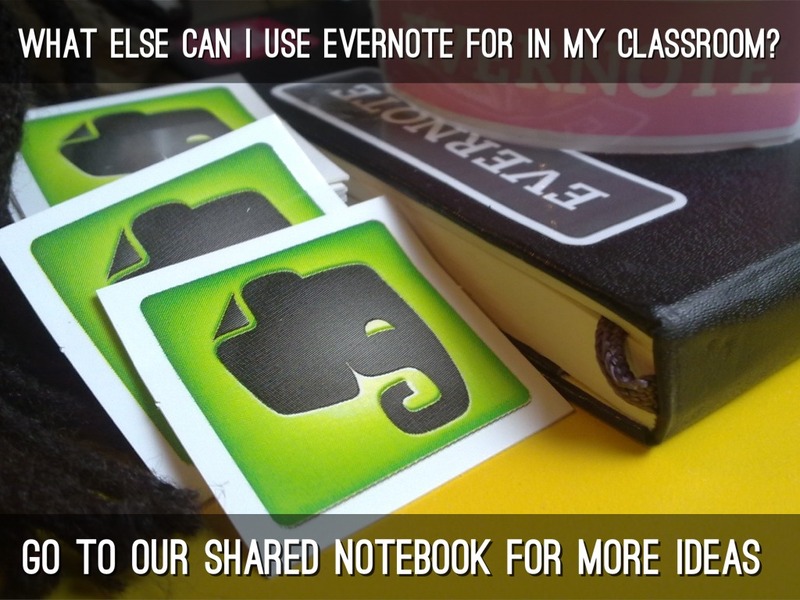 You can share notebooks with colleagues and students. shared notebooks are 'stamped' with a share icon like this one. You can give colleagues and students a variety of access levels from read only to editing privileges. Your choice. 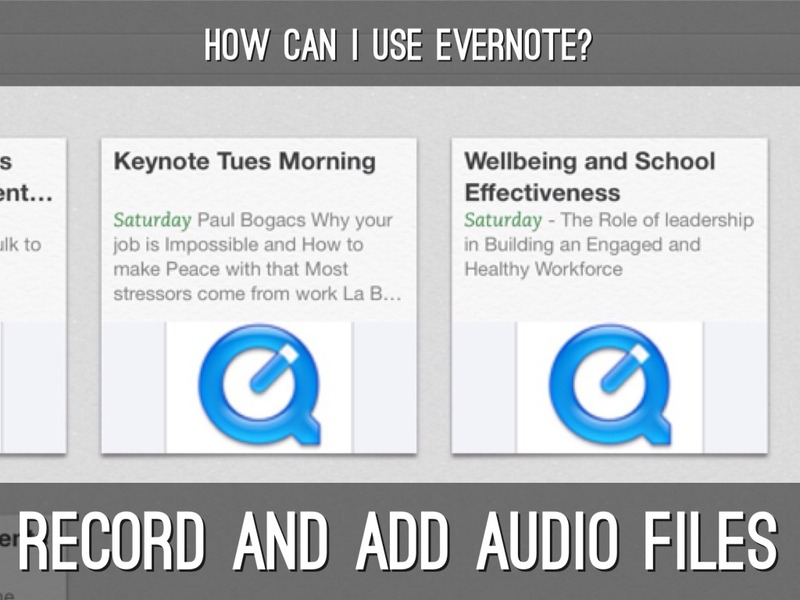 You can create Audio files in Evernote. 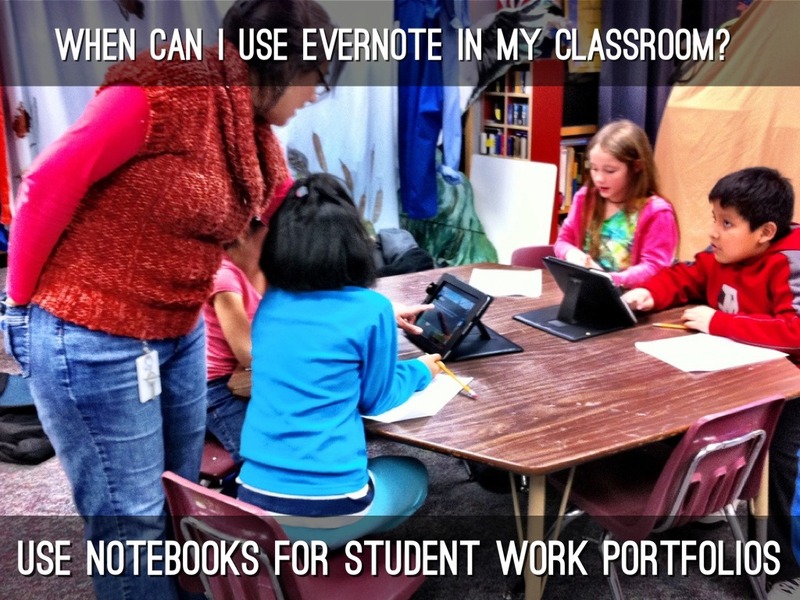 When can I use EVERNOTE in my classroom? Record students' reading fluency and presentations! Record students reading, speaking or presenting. 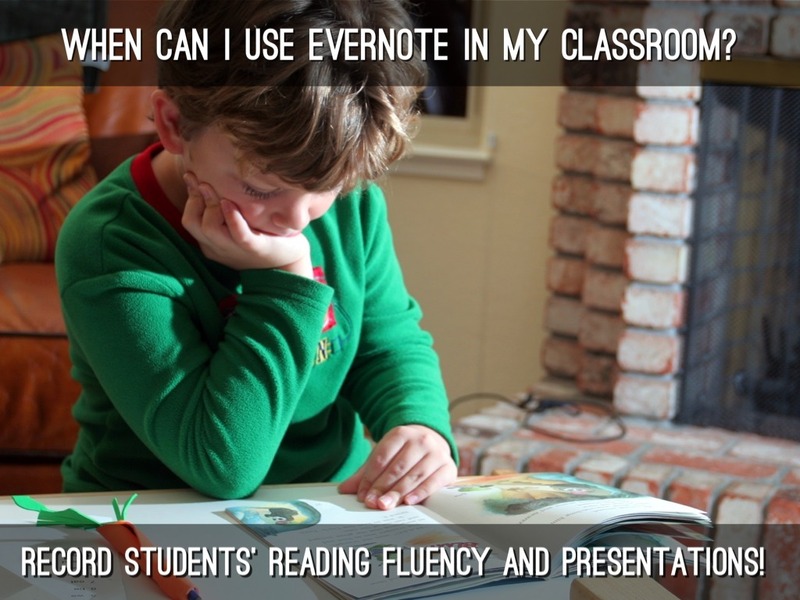 What else can I use EVERNOTE for in my classroom? 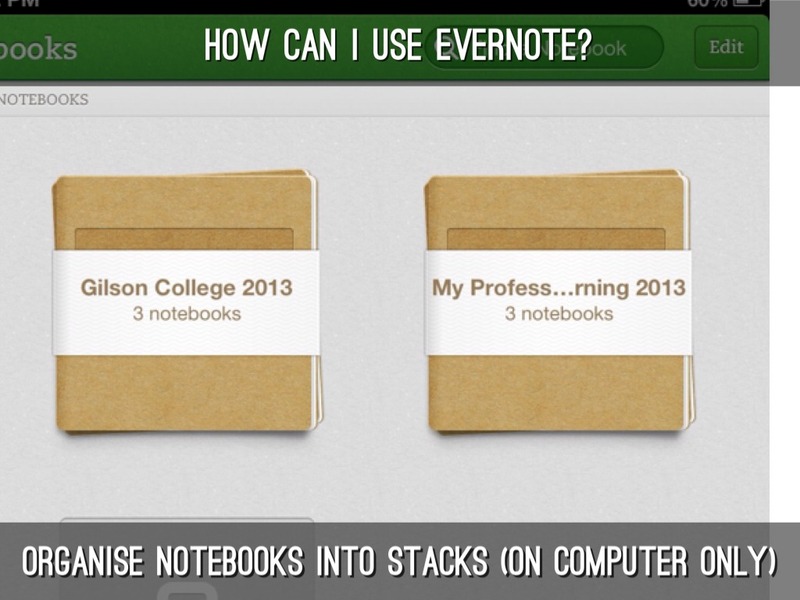 We've shared an Evernote Notebook with you all. Check your emails for the link. Then read the note you find there. You will also find in the Notebook, a PDF of this presentation. 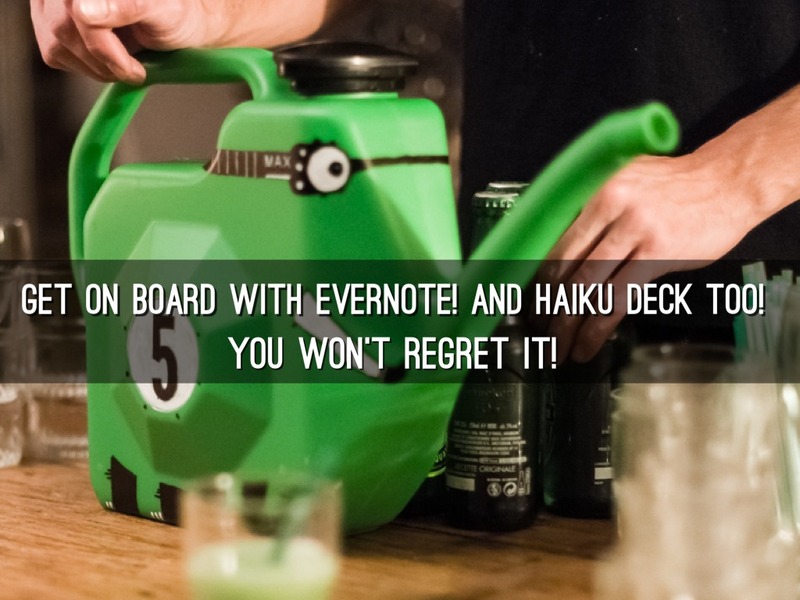 Get on board with EVERNOTE! 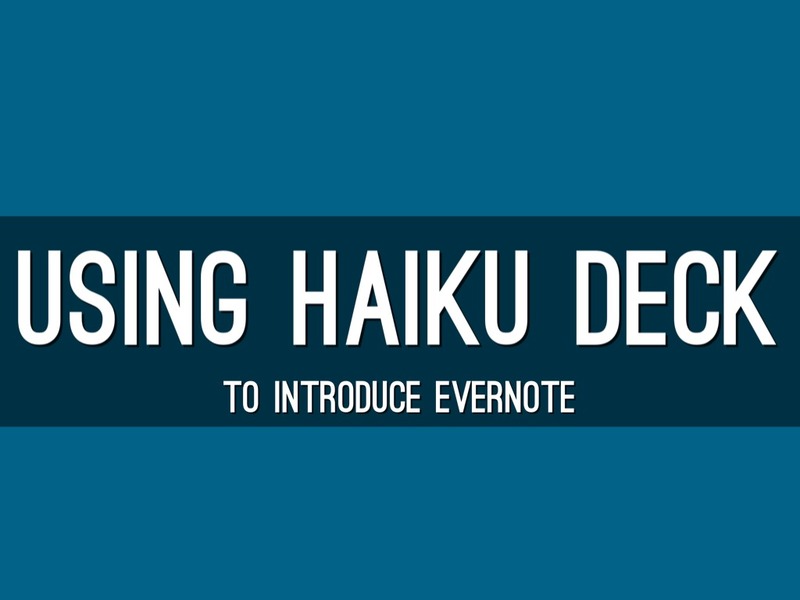 And HAIKU DECK too! 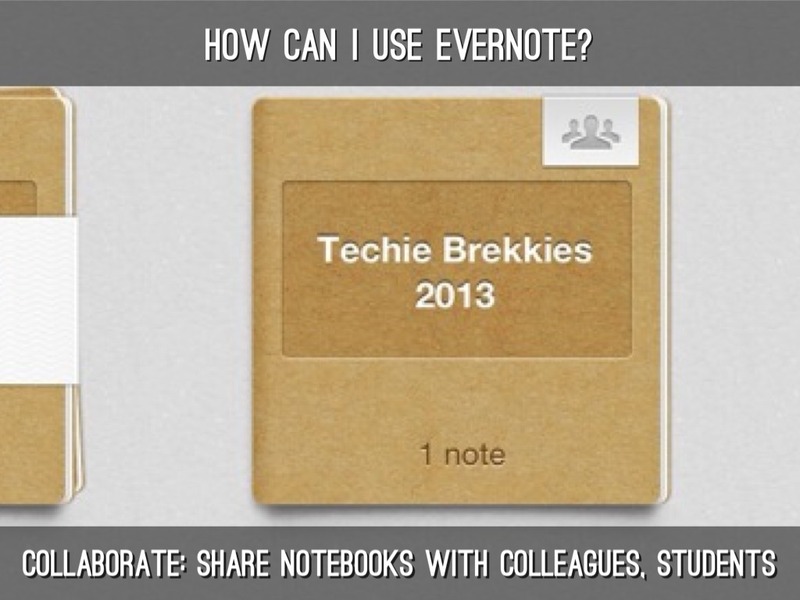 Have a go with Evernote before our next breakfast session. And if you have an iPad, try out Haiku Deck too! Be prepared next time to share your experiences in the classroom with either or both of these.